Carbunclo (Spanish) and carbuncle (English) are both derived from the Latin carbunculus, “little coal”. This has been used historically to refer to the garnet and the ruby, medically to a type of abscess, and teratologically to a glowing South American creature associated with riches. Sightings of the carbunclo come from the southernmost countries – Argentina, Chile, and Paraguay. Multiple accounts of its appearance are given, and it may vary from area to area. A carbunclo has a shining mirror on its head, like a glowing coal, from which it gets its name. The creature itself produces a bright bluish-white glow from its body, easily distinguishable from wood fires and visible from over a league away. A carbunclo is larger than a mouse, perhaps cat-sized, and has a segmented body shaped like a small corn cob. The light is produced from within and shines out through junctures in the body segments. A bivalved shell resembling a rock is present. If an enemy is detected, the shell clamps shut, extinguishing the light and camouflaging the creature as an ordinary stone. Father Narciso y Barcel wrote in 1791 that the “lid” is covered in exquisite plumage, and there are beautiful spots on its breast. Carbunclos are also capable of leaping and running swiftly. Eulogio Rojas, observing a carbunclo from one meter away in 1879, noted more than four legs. In Chiloé carbunclos guard treasure and are cat-sized quadrupeds with glowing beards on their chins. Carbunclos move about at night like enormous glow-worms in search of food and water. They have keen senses and are quick to escape or close their shells at the slightest sound. During the drought of 1925, flashing lights were seen descending the hill of Tulahuén to the valley of the Rio Grande; this was interpreted as a family of carbunclos desperate for water. These glowing creatures have long been sought by miners and prospectors, as they are believed to hold untold riches within their bodies. Nobody as yet has succeeded in capturing one. 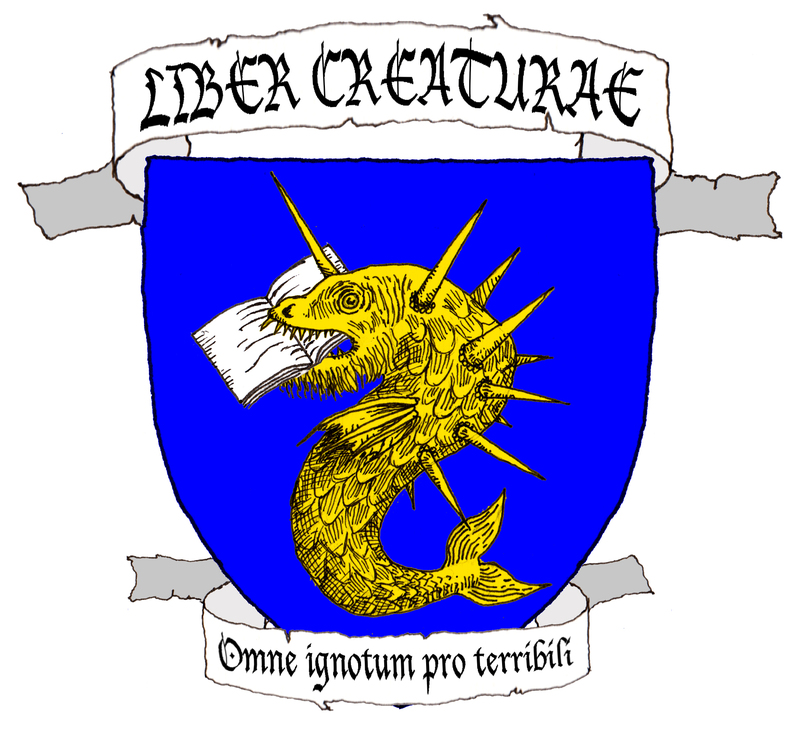 Martin del Barco Centenera hunted the carbunclo in vain, and said that whoever could obtain the creature’s stone would be assured joy and fortune. By virtue of their excellent camouflage, sharp hearing, and impenetrable habitat, the carbunclos have kept their secrets, and no amount of careful searching has shed further light on them. Aguirre, S. M. (2003) Mitos de Chile. Random House, Editorial Sudamericana Chilena. Borges, J. L.; trans. di Giovanni, N. T. (1969) The Book of Imaginary Beings. Clarke, Irwin, & Co., Toronto. Centenera, M. B. (1836) La Argentina o la Conquista del Rio de la Plata. Imprenta del Estado, Buenos Aires. Cifuentes, J. V. (1947) Mitos y supersticiones (3rd Ed.). Editorial Nascimento, Santiago, Chile. Oviedo, G. F. (1852) Historia General y Natural de las Indias, v. II: 1. Imprenta de la Real Academia de la Historia, Madrid. Southey, R. (1812) Omniana, or Horae Otiosiores, v. II. Longman, Hurst, Rees, Orme, and Brown, Paternoster Row, London. According to the Yamana, the Lakúma are the most dangerous sea creatures of Tierra del Fuego. These water spirits have been known to tip canoes over, pull their occupants out, and drag them under to consume, leaving their entrails to float to the surface. They can also create huge waves, summon whirlpools, and whip up storms to damage larger vessels. Lakúma have been compared to whales, squids, and giant worms, making their exact appearance hard to pin down. What is known is that they like to flatten themselves out on the water’s surface, letting their back protrude like a small island. Their broad and flat backs are covered with encrustations of unusually large mussels. Sometimes there are so many lakúma in one spot that they can be used as stepping-stones. A group of Yamana on a desert island saw countless wide, flat lakúma rise to the surface, forming a living bridge to a bountiful island. “If we run quickly, we’ll get to the other side!” said one man, running over the backs of the lakúma and reaching the other shore. But the others were too slow, and the lakúma dove, taking them to a watery grave. The one survivor recruited enough men to slay many lakúma in retaliation, and their bodies can still be seen today in the form of large, flat stones at the bottom of the sea. Lakúma will also attack people breaking taboos. It is known that a menstruating girl or túrikipa should not eat berries, but one girl thought she could circumvent the rule by sucking out the juices and spitting the solid outer part. Alas, her canoe was attacked by a lakúma, and it refused the offerings tossed at it until it took the girl and devoured her. It then flattened itself out on the surface and rested. The túrikipa’s people went onto the lakúma’s back, took some of the mussels, and used their sharp shells to dismember the lakúma. But that was small comfort for the túrikipa, whose entrails served as a grisly reminder of her fate. Gusinde, M.; Schütze, F. trans. (1961) The Yamana; the life and thought of the water nomads of Cape Horn. Human Relations Area Files, New Haven. Gusinde, M.; Wilbert, J. ed. (1977) Folk Literature of the Yamana Indians. University of California Press, University of California, Los Angeles. Deep, permanent lagoons in Brazil and Venezuela are home to the Rahara. According to the Yanomami, this aquatic monster once lived in a large lagoon called Akrawa. Since then the rahara has moved upstream in the Orinoco, finding suitable lagoons to inhabit, or enlarging small lagoons to better fit inside. A rahara lagoon never dries out and can be recognized by observing the shore – there are tracks leading in, but none leading out. The rahara is the uncle of the anaconda, and grows to greater sizes. It may or may not have feet. Its serpentine body is like a rotten pawpaw tree or a manioc strainer. It is capable of drawing people towards it and swallowing them whole. A rahara will be attracted to fire as it is sure to find a meal there; it will also rush out of its submarine hole to swallow anyone foolish enough to say its name out loud, so it is usually referred to as “the beast”. When in a good mood, raharas make a snapping sound and alert others to their presence. Silence is dangerous. Raharas have pets in the form of hoatzins and curassows, which roost above the waterholes to entice hunters. Snakes are also associated with the raharas. One talking boa constrictor turned into a live baby rahara after being shot dead by a hunter. It was kept as a pet in a water-filled palm spathe until it grew big enough to devour its entire adopted village. Finally, the raharas are responsible for floods, tsunamis, and other water-based disasters. It is advisable to avoid known rahara haunts, and refrain from drinking, bathing, or fishing in those waters. A messenger once ignored those warnings and bathed in such a pond, and was immediately swallowed by a rahara. He called out “Help! Over here!” from inside the creature’s belly, and men arrived from the village with bamboo lances. They began running the rahara – and its prey – through. “Stop! You’re hurting me!” he screamed from inside, but they ignored him until both he and the rahara were dead. Presumably the man was not well-liked. Albert, B.; Becher, H.; Borgman, D. M.; Cocco, L.; Colchester, M. E. M.; Finkers, J.; Knobloch, F.; Lizot, J.; and Wilbert, J.; Wilbert, J. and Simoneau, K. eds. (1990) Folk Literature of the Yanomami Indians. UCLA Latin American Center Publications, University of California, Los Angeles. Lizot, J.; Simon, E. trans. (1985) Tales of the Yanomami. Cambridge University Press, Cambridge. The Tuyango is a carnivorous swamp bird from Argentinian folklore. The Mocoví know it as Tagänogók, while “tuyango” is of Guaraní origin. These birds are currently believed to have been hunted to extinction. A tuyango looks a lot like a rhea, but it has a distinctive yellow neck. It preys on humans, which it kills and drags back to its lair to devour. The hawk had a particular vendetta against the tuyangos, and sought to avenge their cannibalism of humans. One tuyango returned to his home with two dead men only to find his four children clubbed to death. The tuyango cried, ejee, ejee, before heading out with his mate to find the hawk. But the hawk asked for fire, and he flew in and out of the smoke until the tuyangos were exhausted and thoroughly confused; only then did he club and kill them. He returned to widespread joy; when his daughter told him “Daddy, a cannibal bird is coming”, he reassured her that he had already killed the tuyango, and all were happy. Cipolletti, M. S.; Guevara, J.; Lehmann-Nitsche, R.; Terán, B. R. D.; and Tomasini, J. A.; Wilbert, J. and Simoneau, K. eds. (1988) Folk Literature of the Mocoví Indians. UCLA Latin American Center Publications, University of California, Los Angeles. Okpe is a massive, quadrupedal ogre from Argentinian and Chilean Tehuelche folklore. He looks like a pig made of impregnable solid rock, without soft spots or weaknesses. Okpe preys on children, luring them with braised meat before carrying them off in a device on his back. Children captured by Okpe are taken into the jungle and devoured. Attempts to thwart his actions fail, as he is impervious to conventional weaponry. Once Okpe abducted an older child, who had the presence of mind to hold onto an overhead branch and escape his captor. While Okpe sought his victim and screamed for him to return, the child ran back to his village. There a mare was butchered – as the Tehuelche do in emergencies – and its skin was stretched out on the ground. When Okpe trundled through in pursuit of the boy, he slipped on the stretched hide and fell so heavily that his stony armor rattled! Okpe started to cry in defeat, crying so hard that his tears caused a flood that went up as high as his teeth. He never bothered the Tehuelche again. Borgatello, M.; Bórmida, M.; Casamiquela, R. M.; Baleta, M. E.; Escalada, F. A.; Harrington, T.; Hughes, W.; Lista, R.; Samitier, M. L.; and Siffredi, A.; Wilbert, J. and Simoneau, K. eds. (1984) Folk Literature of the Tehuelche Indians. UCLA Latin American Center Publications, University of California, Los Angeles. Oókempán is an ogre known to the Tehuelche of Argentina and Chile. He looks like a very large man, but has a shell on his back and moves around on all fours like a pig. Oókempán abducts children, enticing them with a bit of meat before slinging them into a box on his back and carrying them off. Any child playing on their own is at risk of being taken and presumably eaten. Attempts to stop Oókempán will fail, as his hard shell prevents any damage from reaching him; his weakness is in his heel, which is unprotected. It was Oóuk’en, “truth”, the man incapable of lying, who put an end to Oókempán’s kidnappings. He interceded after a child escaped by grabbing hold of an overhead branch as Oókempán passed under it. Oóuk’en went to meet Oókempán at the top of a cliff. “What did you do with the children?” he asked the ogre. “I took them to increase my people”, replied Oókempán. “I only eat rhea, and I needed them to hunt for me”. After some more small talk, Oóuk’en pushed Oókempán off the cliff, shattering his shell and killing him. The presence of fossil elephant bones in the region have been seen as evidence of Oókempán’s existence. For the Toba of Argentina, lighning takes the form of a small, hairy creature called Qasoǵonaǵa, the Owner of Storms. It is an anteater, or perhaps an elephant, with a long snout, long rainbow-colored hair, and four tiny feet. Qasoǵonaǵa can also appear in human form, retaining a small head and shaggy body. As Qasoǵonaǵa has been referred to by both male and female pronouns, there are probably more than one of these beings. Qasoǵonaǵa, as the Owner of Storms, lives in the skies and is responsible for storms and other meteorological conditions. Lightning comes out of its mouth, while its angry roars become thunder. It is responsible for rain, or lack thereof. While Qasoǵonaǵa may be a mighty force of nature, it can be quite friendly and grateful for help granted it by the Toba. Often a Qasoǵonaǵa falls to the earth, and has to be returned there by human intervention, as it is too small to return there on its own. In such cases a bonfire must be built, and Qasoǵonaǵa placed on top before it is ignited. The rising smoke will carry Qasoǵonaǵa back into the sky, and the happy anteater will reward its benefactor with powerful shamanic powers. Qasoǵonaǵa will also cause or stop torrential rain if its helper requests it. Cordeux, E. J.; Karsten, R.; Lehmann-Nitsche, R.; Mětraux, A.; Newbery, S. J.; Palavecino, E.; and Terán, B. R. D.; Wilbert, J. and Simoneau, K. eds. (1982) Folk Literature of the Toba Indians. UCLA Latin American Center Publications, University of California, Los Angeles. Wright, P. G. A semantic analysis of the symbolism of Toba mythical animals. In Willis, R. (Ed.) (1990) Signifying Animals: Human Meaning in the Natural World. Unwin Hyman, London. Wright, P. G. Dream, Shamanism, and Power among the Toba of Formosa Province. In Langdon, E. J. M. and Baer, G. (Eds.) (1992) Portals of Power. University of New Mexico Press. Wright, P. G. (2008) Ser-en-el-sueño. Editorial Biblos, Buenos Aires.